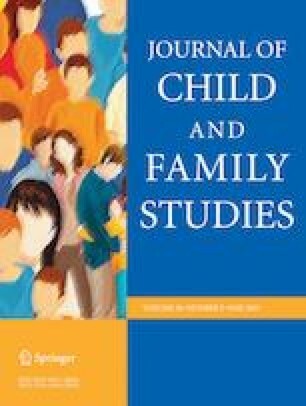 Interparental conflict (IPC) is linked with adolescents’ heightened emotional insecurity about family relations. Our aim was to examine Spanish adolescents’ differential responses to IPC as a function of specific dimensions of IPC and emotional security, in two different living arrangements. Participants were 162 adolescents (M age = 15.55 years), comprising a community sample of 86 adolescents living with their families (CF) and an at-risk sample of 76 adolescents living in residential care (RC). Six video-recorded vignettes depicting everyday IPC were presented, two each of escalated (destructive), constructive, and unresolved conflicts. Multiple dimensions of adolescents’ emotional security responses (i.e., emotional reactivity, behavioral regulation, and cognitive representations) were examined. Constructive conflicts generated more intense and positive emotions, more constructive cognitive representations, and a behavioral regulation pattern of higher interference. As expected, destructive conflicts generated negative emotions, destructive cognitive representations, and less interference in both groups. Unresolved conflicts had effects on adolescents that were closer to those of destructive conflict. RC adolescents were more emotionally insecure and reactive in response to constructive conflicts than CF adolescents and exhibited a blunted pattern of response to destructive conflicts, even when overall levels of emotional security were controlled. Sensitization to constructive conflict also appeared in adolescents low in emotional security. Girls evidenced greater involvement, less positivity and more negativity than boys. Our results have implications for understanding RC adolescents’ greater risk for adjustment problems and for broadening the scope of Emotional Security Theory in future research to include additional living arrangements. Thanks to Xunta de Galicia for facilitating information and access to the child protection centers and to the professionals who helped us (headmasters, teachers, actors, video professionals, etc). This research did not receive any specific grant from funding agencies in the public, commercial, or not-for-profit sectors. S.L.-L.: co-designed the study, reviewed the database, analyzed the data and wrote the paper. V.S.-S. collected and entered data, and assisted with writing and reviewing. A.P.H. analyzed data and assisted with analyses, with reviewing and writing. E.M.C. co-designed the study, reviewed the manuscript, suggested analyses and assisted with reviewing and writing. IRB approval for the study was provided by the Department of Family, Children and Demographic revitalization (Dirección Xeral de Familia, Infancia e Dinamización Demográfica) of the local (Galician) Government. Parents or legal tutors of the participants or the institutions guarding them (for adolescents in child protections services centers) gave their informed consent for the adolescents to participate and all adolescents assented. Kreidler, S. M., Muller, K. E., Grunwald, G. K., Ringham, B. M., Coker-Dukowitz, Z. T., Sakhadeo, U. R., Barón, A. E., & Glueck, D. H. (2013). GLIMMPSE: online power computation for linear models with and without a baseline covariate. Journal of Statistical Software, 54(10), 1–26. http://www.ncbi.nlm.nih.gov/pmc/articles/PMC3882200/.